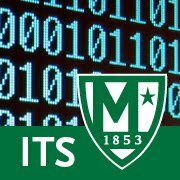 The ITS ticketing system is currently down. We have notified the vendor that provides this service. During this outage, emails to its@manhattan.edu will not come through. If needed, please contact ITS via telephone: 718-862-7973.